I’m always game for helping fellow Japanese bloggers. 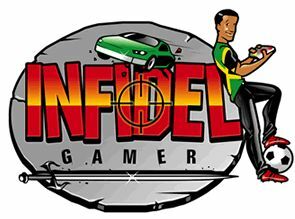 Kirk from Jamaipanese has just launched a new gaming blog called Infidel Gamer. You can find the latest trailers for upcoming games, reviews, and short and to the point information. With your time becoming more and more precious, its always good to see blogs giving quick and to the point posts without a lot of filler. Definitely give Infidel Gamer a look.